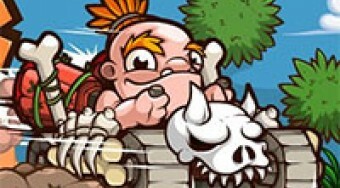 Do you like Stone Age Racing? Share it with your friends. Stone Age Racing is an excellent racing game from the Middle Ages and the Stone Age, where you have prepared eighteen different levels of difficulty. In each round you will drive a pre-set car prehistoric man and try to reach the finish line in each race. Ride down the racetrack, make a sallet to complete the interior, collect weapons, and then use them to slow down your opponents.